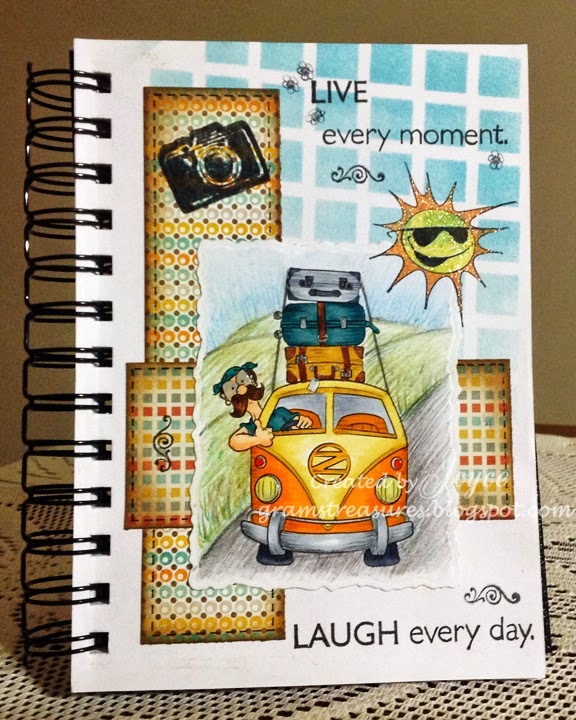 Here we go with another entry for my travel journal, and my DT posting for Dr Digi's House of Stamps. This brave little guy is Ambrose King of the Waves, and I'll be keeping a lookout for him, after all....I need to find out where he got that ice cream! 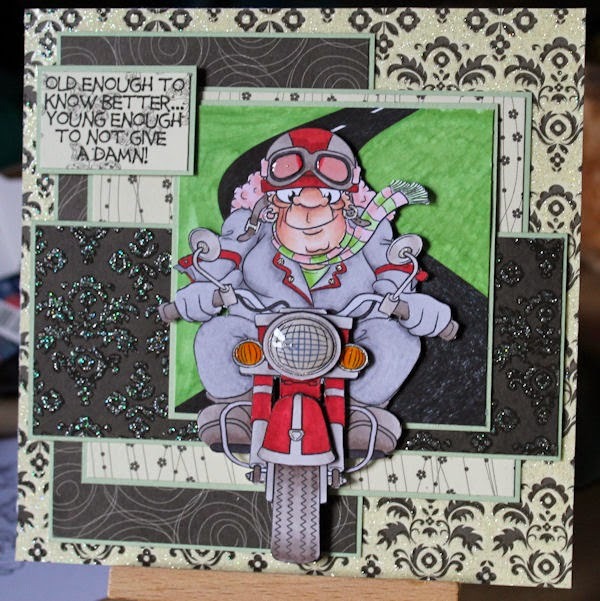 Beryl has a busy life so every now and then she likes to get on her bike and blow the cobwebs away. With the weather we have at the moment i don't need a bike I just need to stand outside the back door, the cobwebs will either be frozen or blown away, take your pick! You can find Beryl HERE and other new fabulous digis HERE. You can also find the sentiment HERE Hope you all have a good weekend, I am hoping for more snow but I somehow doubt it, I really want to build a snowman! It's not too soppy, no hearts and there is an engine involved. Perfect images to use for the Valentine card to send to your bloke. And Retro Rocket and Moon won't cost you the earth especially if you combine them with another space themed digi! 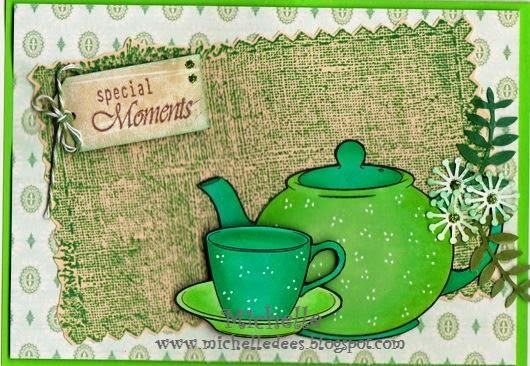 It is my turn to show a new card with a image from Docotor Digi House of Stamps. I choosed some images from the Cheapie section. They are lovely and as already said they are cheap. I used Tea cup and Tea pot. 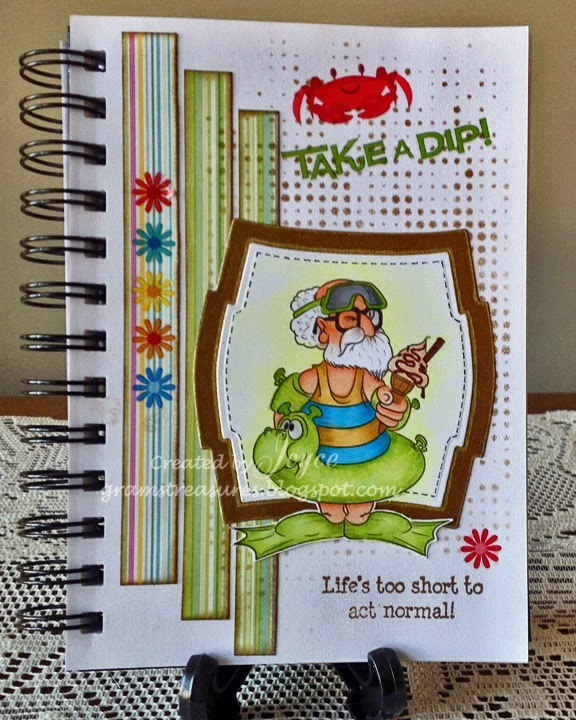 I think this card is great for birthdays of older ladies. Here can you find the images. 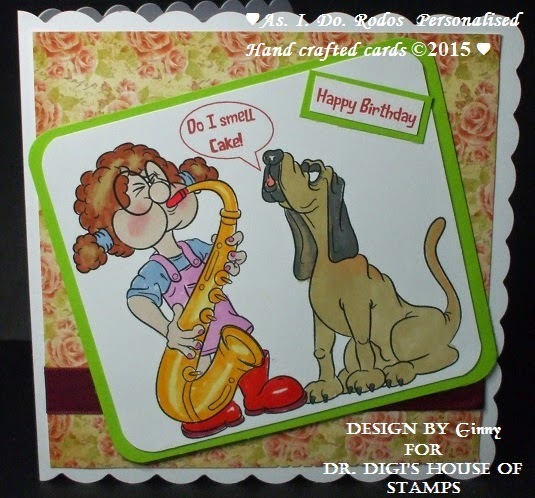 If you like to know how I made the card take a look HERE. So hope you all heve a nice weekend and see you next time. Personally I don't understand the pastime but I must confess, I like the results of fishing expeditions in batter with some lovely hot chips. 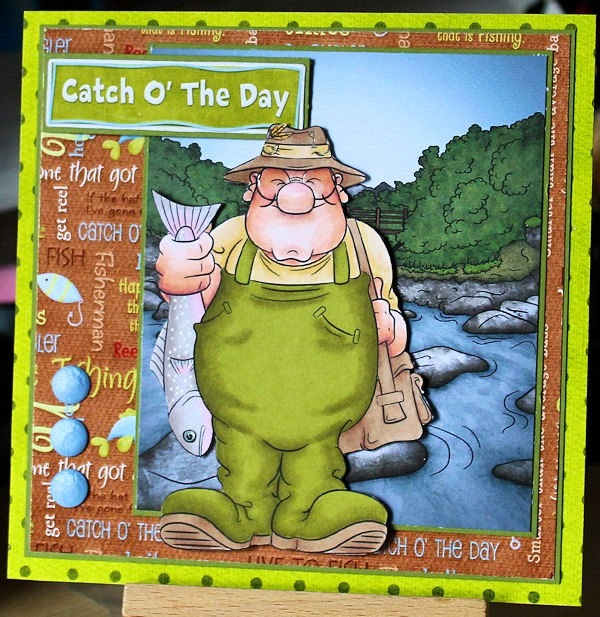 Not sure what Anglin' Andy has planned for his trout, something far fancier I hope! Mind you a good few fishermen's plans for their catch tend to be limited to handing over said catch to the missus, but they did the hard work of sitting around all day waiting for the fish to bite! Coffee keeps me busy until it's time to be drunk. Hmmm, not quite true but still, the thought is there! And if you're in the market for some funny (and perhaps appropriate) sentiments then look no further than Funny Sentiment Sheet 1. A total snip at £1.50! Daisy and the hound are doing their best to bring some birthday cheer. I think if my dog had been serenading you, you might be blocking your ears by now!! 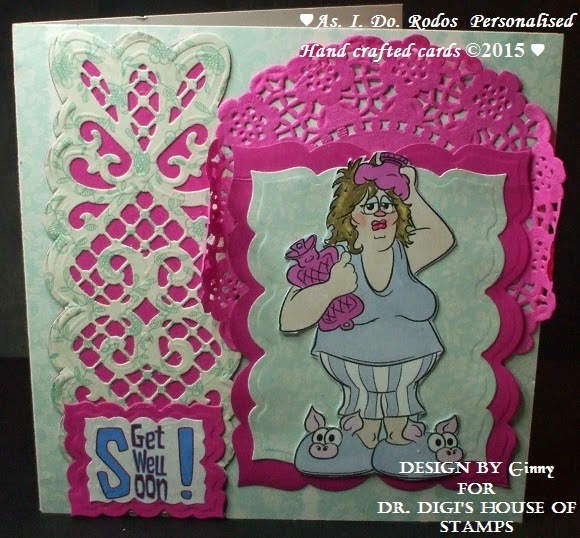 Another fun image from Dr Digi's House of Stamps, and this time it adorns the first page of my new travel journal! I'll be heading south for a spell, looking for some warmer weather, and I can add a few notes on my travels. Only funny ones of course! So here we have Summer Holiday, with Derek at the wheel....he offered to drive, but I think perhaps I'll find my own transportation. I love music, many kinds of music, but I have a special fondness for music that includes a saxophone, always spine tingle inducing. 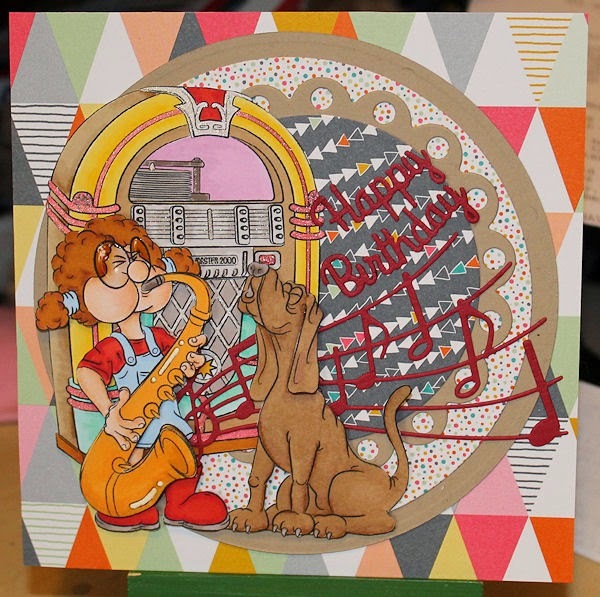 Here's Daisy and her dawg playing along to the Jukebox, is it a bit of Baker Street by Gerry Rafferty, Madness with One Step Beyond, Spandau Ballet and True or Careless Whisper by George Michael? Or has the Jukebox's music stopped for a minute and she's simply serenading someone! You can find Mood Music HERE and Jukebox HERE, if you buy them together you will save 50p making them a complete bargain for £2.50. There is nothing better than listening to the wireless perched on the side table with a bottle of dark rum ready to go. Ah, the Motown classics. Subline. Poor Hannah has flu and feeling very sorry for herself. She would mind if she had been out on the town but this is not self-inflicted. Hannah has spent the last three days in bed and has missed all the festive parties! Sorry but I didn't know that Ruth used the Door Mouse too. Here is my idea to make a creation with it. I made a little teabagbook. This little mouse can you find HERE. There are lot more fantastic digistamps to see. HERE you find the shop. And if you like to see how I made the booklet go HERE. 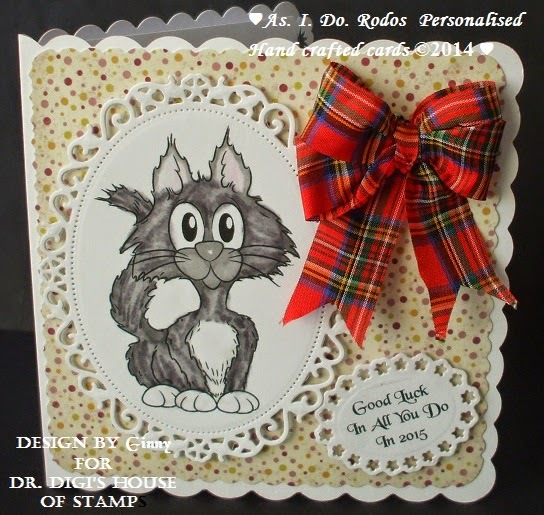 It feels a long time since I have a coloured a fabulotastic Dr Digi image, my own fault as my desk was buried over Christmas with stuff that needed sorting, not new stuff sadly, just general clutter that has built up in my craft room since the last time it was sorted. 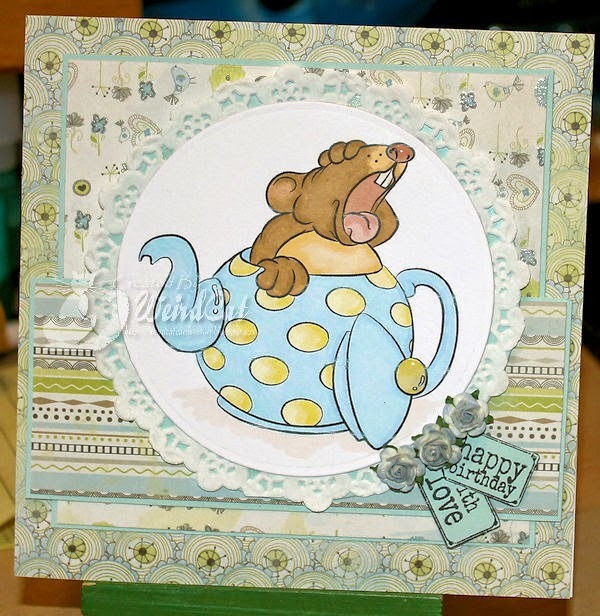 I really like the blue and yellow combo at the moment so Mr Door Mouse's teapot had to be coloured that way, not sure that the Mr Door Mouse would have appreciated being coloured that way! You can find Door Mouse HERE, he is one of Dr Digi's mid range priced graphics so a complete bargain. Now I am off to search my collection of teapots for sleeping dormice, you never know what my cats will bring in! Time to go a little vintage and retro. And time to visit the cheapies section! A wealth of opportunity for a £1 and under - go fill your boots! And here is a prime example of what your £1 can buy - a Ford Pop! Okay, so Christmas is over for this year, and Santa's job is done, however, he's already making his list up for next year. Unlike some of us, he doesn't leave everything until the last minute.....so you'd better be good. 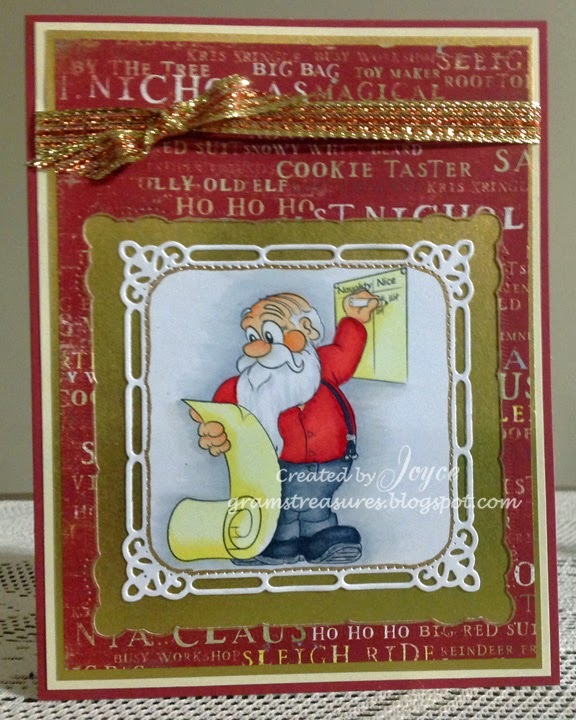 This delightful image is another one from Dr Digi's House of Stamps, titled Naughty or Nice. If you start now, maybe you'll be ready for next year's Christmas too! Happy New Year to all Dr. Digi's crafters! And what better way to start the new year than with a spot prize? 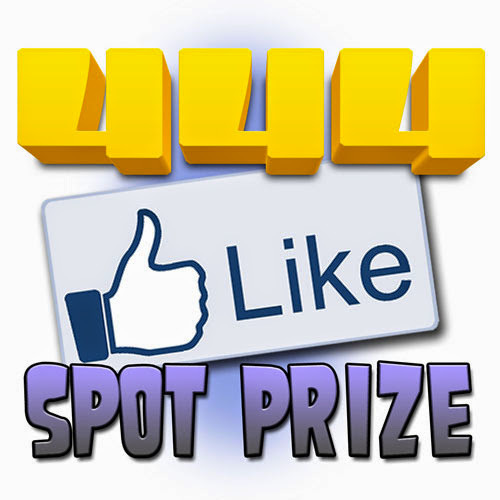 Carole Charette is our first winner of the year and gets a free digi for being our 444th like on our facebook page. Congratulations!